Celadas There are 3 products. 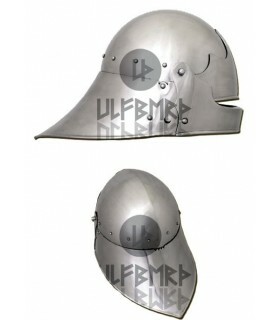 Gothic functional headpiece year 1480. Includes visor with pin, chin strap and interior padding. Made of 2 mm steel. thick. 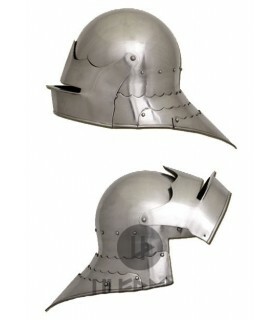 Functional medieval celada, year 1490, with folding visor type bellows. Made of 2mm steel. of thickness and visor of 1,6 mm. 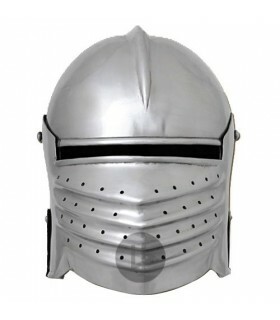 Nasal protection of 4 mm. Includes leather closure with brass buckle to hold on the chin and interior padding.